If you want to make your eyes look beautiful and very natural, Freshlook ColorBlends Sterling Gray are the way to go. 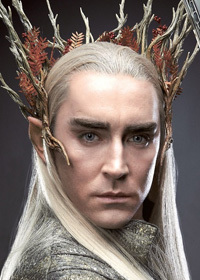 They provide you with a very significant eye colour change - they cover your natural eye colour completely - yet seem very natural and subtle in the eyes - just like with king Thranduil from The Hobbit movie. Their grey colour looks beautiful with any kind of make up and outfit. Thanks to advanced Alcon manufacturing technology, Freshlook ColorBlends Sterling Gray are very comfortable and safe to use, also by those who need prescription contacts.